Think you know magic? Think again. The Magisterium awaits. So he tries his best to do his worst, and fails at failing. Now the Magisterium awaits him. It’s a place that’s both sensational and sinister, with dark ties to his past and a twisty path to his future. The Iron Trial is just the beginning, for the biggest test is still to come. 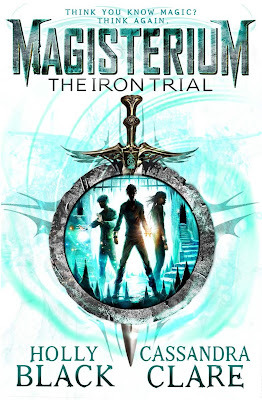 It's the day or The Iron Trial, where teens are plucked from their classrooms to be tested for their level of magical ability as to whether or not they will be chosen for the Magisterium, a boarding school for the gifted. But not twelve year old Callum. His father had always instilled the fear that magic must never be used and children taken into the Magisterium will never return. Callum blunders his way through the trial but has caught the eye of the Master Rufas, a prestigious senior tutor who has also guided Callum's late mother and sees the potential in the untrained mage. "You will discover what your ordinary self would never have had the privilege to see. You will learn great things and you will do even greater things. Suddenly it seems as though everything Callum was taught about the Magisterium may have been a lie. Along with teammates Tamara and Aaron, Master Rufas will take the three young mages under his wing to one day face combat against an enemy in which power has engulfed their humanity, while the Magisterium awaits a chosen hero to counteract the Enemy of Death. Finding friends, allies and a place where Callum feels accepted and valued will come at a price, what will unravel will shake Callum to his core. A secret that will threaten to tear the magical world apart. Callum Hunt’s summer break isn’t like other kids’. His closest companion is a Chaos ridden wolf, Havoc. His father suspects him of being secretly evil. And, of course, most kids aren’t heading back to school in the magical world of the Magisterium. Call escapes to the Magisterium but things only intensify there. The Alkahest, a copper gauntlet capable of separating certain magicians from their magic - has been stolen. And in their search to discover the culprit, Call and his friends awaken the attention of some very dangerous foes and get closer to an even more dangerous truth. Callum has survived his first year at Magisterium, now a second year mage who's magic cannot be bound. He's home for the summer break and his relationship with his father is now strained at best, still attempting to convince his only child to leave the school behind. With his Chaos wolf by his side, it seems his father has an ulterior motive and before he can confine Callum to a life of experimental testing, Callum flees for the safety of the Magisterium once more. But when a priceless artifact is stolen, all fingers are pointed firmly at Callum's father who has now fled and on the run. Callum's secret threatens to be exposed, but along with Aaron, Tamara and a very reluctant Jasper, they'll need to hunt down the Alkahest, find Callum's father and stop the sacrificial mistake he's about to make. Before it's too late. The Magisterium series had drawn similarities to the Harry Potter series, a boarding school for magicians slash mages who are fighting against the evil of the world, but with enough differences to stand on it's own merits. Both The Iron Trial and The Copper Gauntlet are fantastic middle grade reads that explore a boarding school for teens known as the Magisterium, where children with magical abilities are chosen to hone their skills as mages, training for a war against their own kind. Despite his father's wishes, Callum not only is chosen to enter the Magisterium but will train under the accomplished Master Rufan who also trained his late mother, a woman tragically killed when Callum was still an infant and left the boy irrevocably damaged. Callum's injury has always ensured his loneliness, mocked throughout school for his distinct limp. But now at the boarding school for mages, Callum finds himself not only with friends but a purpose greater than he's even known. I really liked Callum's character. Even with his permanent impairment, he never saw himself as anything other than able and wanted to be treated as such. Along with his team slash roommates Aaron and Tamara, they begin training under the prestigious master Rufas, a man known for only training the best of the best and despite Callum's best intentions to be expelled from the Magisterium, he starts to realise his father may have been wrong in his dire warnings. The tentative friendship between Callum, Aaron and Tamara was a strange combination, I think that's where the Harry Potter similarities also lie along with the boarding school location and rivalry between the mages in training. But for me, that's where the similarities end. I loved the character dynamics and rivalry, it added a much needed layer to what was a fairly light storyline. Appropriate for the intended audience and those who enjoy an entertaining middle grade read. Compared to Cassandra Clare's The Mortal Instruments series, I enjoyed the writing so much more with thanks to Holly Black I suspect and looking forward to reading her previous releases as a result. 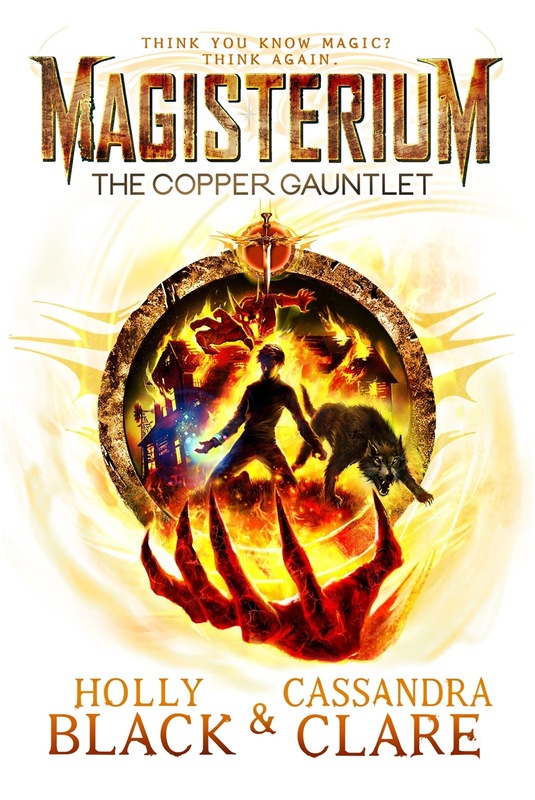 I enjoyed The Copper Gauntlet slightly more than The Iron Trial and looking forward to the next release in the series. Rather than recommend it to fans of Harry Potter, I feel the Percy Jackson audience may appreciate this series more so. It's entertaining and a quick read for those who enjoy middle grade fantasy and adventure such as myself. Kelly is an Aussie who's love of chocolate milk is only surpassed by her love for Alice in Wonderland. She is currently on a semi hiatus. 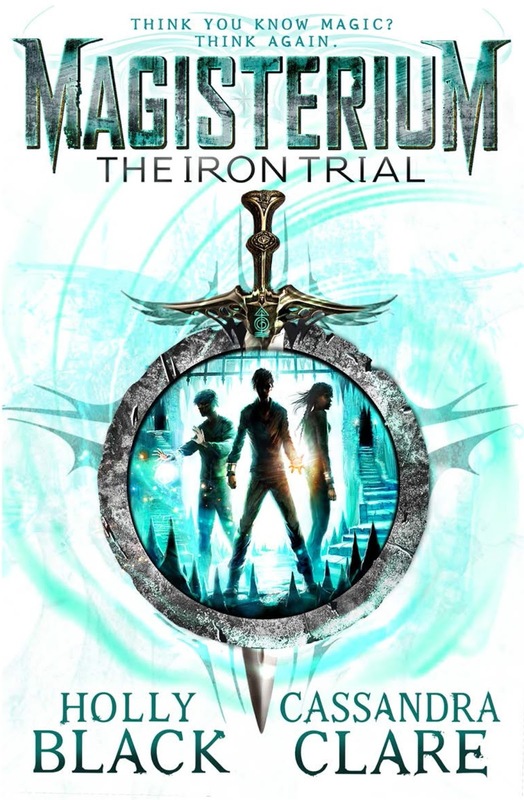 I recently finished the Iron Trial and I also thought it was very similar to Harry Potter. I thought it was very interesting, what with all the elementals and all but I still couldn't look past the fact that it was like a HP knockoff. It really did though, but for me it had just enough point of difference where I could read this and not constantly compare the two series. It felt a little more Percy Jackson and the Olympians, more so than Harry Potter but I can certainly see why so many readers can't help but compare them both. I used to feel the same Joy, but over the past year I've started to read them more, when previously I would throw them at others shouting No, you bloody read it. I find mild fantasy or middle grade fantasy much easier to read and this one is pretty good for younger readers or those who like middle grade. I'm really looking forward to book three. Thanks for sharing. I'm glad you didn't feel like there was TOO much in common with Harry Potter. I haven't read anything by these authors on their own, but it sounds like a nice match up! I haven't read any of Holly Black's books but have read and own quite a few by Cassandra Claire. I think I was more excited to read something that didn't have Shadowhunters in it, to really see where she could take the storyline. I dare say that I think the concept might have been more Holly Black though, as I found the writing really lovely. A nice little and fairly quick read. Really enjoying them Lauren. Just realised that a lot of middle grade fantasies have a trio of friends and that both Harry Potter and the Percy Jackson have two boys and one girl in that trio. (Aye, this is why I'm not insanely clever: can't connect the dots at all). This is revolutionising. I'm one of the few unfortunate people in the world who haven't reading the Harry Potter series so I have nothing to compare this too but I love Holly Black and I would read a microwave instruction manual if she wrote it. I'm glad it wasn't too similar to HP for you but I feel like middle grade books, just like YA books, can often fall into the plot and writing deathtraps that linger out there in every book you've ever read, lol. Great Review Kelly! These comments are fabulous, my goodness Taylor you're hilarious! I couldn't agree more. It's rare to find a book that is completely unique. Any series with a trio of friends and magic will always be likened to Harry Potter, the same with the Greek Gods and Percy Jackson. But for my the series has enough difference to set it apart. Maybe give these a read before you tackle Harry Potter which are enormously long reads. I think you might really enjoy these. It does, but for me it also had enough differences that I didn't really find myself comparing the two series either, which made for an awesome read. I love middle grade as an escape from young adult. It's not filled with tropes, just nice clean fun. Oh do give it a go poppet, it might really surprise you. Sounds like an interesting series. I haven't read anything by either one of those authors. I also haven't read Harry Potter or Percy Jackson. Obviously I'm on top of things. lol. Oh Christy, you need to take a break from the saucy bodice rippers are expand your horizons! I keep on consistently having to remind people that the Harry Potter series is Young Adult. Not Middle Grade. The content of HP is pretty much solidly YA. The first complaint I got when the library I worked at told me to recommend Percy Jackson to teens who liked Harry Potter was "this seems like it's for a younger audience than Harry Potter." That happens with a lot of MG series I recommend to readers of HP, because Harry Potter has a lot more in common with fantasy for teens and adults than it does fantasy for children. It's themes and content are very mature, first of all, as is its reading level. The main characters are adolescents and adults play recognizably adult roles in the series.